During the 2018 Gala of Internetics, festival celebrating the digital intelligence, the jurors awarded 48 trophies (19 Golds, 26 Silvers and 1 Grand Prix). The Agency of the Year trophy went to MRM // McCann who received 13 trophies and 5 nominations, while the Digital Client of the Year by glo trophy, for the first time established based on the scoring and all the awards received, went to KFC, for winning 4 Gold, 2 Silver trophies and receiving another 1 nomination. Overall, at Internetics 2018 went on stage 15 agencies and companies, as follows: Centrade Cheil, FCB Bucharest, Friends \ TBWA Bucharest, Jazz Communication, Kubis Interactive, Leo Burnett Bucharest, Lidl Romania, MRM // McCann, MSL The Practice, MullenLowe Bucharest, Publicis Romania, Tribal Worldwide Romania, WOPA, United Media & Heist Industries. According to the accumulated points from the awards and the nominations, the top of the most awarded agencies was: 1. MRM // McCann; 2. Leo Burnett Bucharest; 3. Jazz Communication; 4. Publicis Romania; 5. MSL The Practice. The top of the clients was: 1. KFC; 2. Telekom (2 Golds, 2 Silvers and 4 nominations); 3. 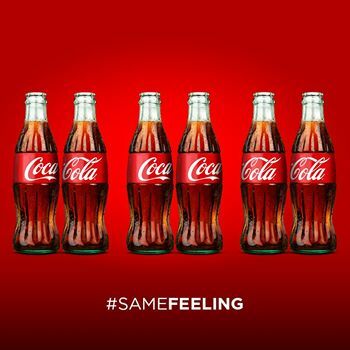 Coca-Cola (2 Golds, 3 Silvers and 4 nominations); 4. Lidl Romania (2 Golds, 2 Silvers, 4 nominations) and 5. Sistemul Medical MedLife (3 Golds). MRM // McCann won awards for the works „KFC – Studycoin” (2 Gold trophies in „Microsites” and „Gamification” and 2 Silver trophies in „Full Digital Campaign: Retail” and „Digital Brand Experience” ), „KFC – Social Me” (2 Gold trophies in „Full Digital Campaign: Retail” and „Online Branded Content”), „VODAFONE – Scrolling Through Life” (2 Gold trophies in two sections at Digital Craft – Best Website Content and Best Website Design), „Coca-Cola Bracelet – Artists are calling” (1 Silver in Mobile Campaigns), „Coca-Cola – Inna cans musical album” (1 Gold in Digital component of an integrated campaign: FMCG – Drinks), „Coca-Cola – #samefeeling” (1 Gold at Viral Non Video), „Coca-Cola – Instagram page” (1 Silver in Social Media Pages) and „Coca-Cola – Holidays are coming back. Again.” (1 Silver in Viral Non Video). Leo Burnett Bucharest went home with 5 trophies for „TELEKOM “NO ROMANIAN LEFT BEHIND” (1 Gold for „Online PR Special Projects”), „Telekom Vloggers’ SWAP” (1 Gold for „Brand Associated Communities”), „Telekom UNLIMITED SUMMER PLAYLIST” (2 Silvers in the sections „Social Media Special Mechanics” and „Brand Built Communities”) and 1 Silver for „PAMPERS – “Good night, worries” Lullaby”, in the section „Digital component of an integrated campaign: FMCG –Non food”. Jazz Communication, the first independent agency in last night’s top, won new awards for the campaign Magic Home – „Take a Seat #togetherformagichome” (1 Gold at Viral Video, 1 Gold at „Digital component of an integrated campaign: Social campaigns, political and awareness messages”, a Gold that also brought it a Grand Prix in the sub-category Digital component of an integrated campaign din Interactive Campaigns). The agency won another 2 trophies for „Lidl’s 2Million+ Department” – Gold in the section „Social Media Special Mechanics” and a Silver at „Online Branded Content”. Moreover, Jazz won a special prize called „Traiasca capra vecinului” (Long live the neighbor’s goat) from GMP and Webstyler. The jurors also awarded other 6 projects with Gold: „Replate Waste” at „Best Website Content” // MullenLowe Bucharest, „Lidl Romania Instagram” at „Social Media Pages” // Lidl Romania, „Vodafone Istori@” in Mobile Apps // FCB Bucharest and „Tomorrow’s Technology” in the sections „Online PR Special Projects”, „Digital Brand Experience” and „Digital component of an integrated campaign: Services” // MSL The Practice. In the sub-category „Social Media”, supported by Globaworth, were offered 15 trophies: 6 Golds for „Take a Seat #togetherformagichome” (Jazz Communcation) – Viral Video, „Coca-Cola – #samefeeling” – Viral Non Video, „Lidl Romania Instagram” (Lidl Romania) – Social Media Page, „Lidl’s 2Million+ Department” (Jazz Communication) – Social Media Special Mechanics, „Tomorrow’s Technology” (MSL The Practice) and „Telekom“No Romanian Left Behind” – Online PR Special Projects and 9 Silvers for „SUPER TOP – Glet Rich or Die Tryin’” (Friends \ TBWA Bucharest) – Viral Video, „Coca-Cola – Holidays are coming back. Again.” (MRM // McCann) – Viral Non Video, „Lidl’s biggest Hater Fan” (Lidl Romania) – Viral Non Video, „Mega Slices Of Life On Instagram” (United Media & Heist Industries) and „Coca-Cola – Instagram page” (MRM // McCann) – Social Media Pages, „Telekom Unlimited Summer Playlist” (Leo Burnett Bucharest) and „Samsung Live Museum” (Centrade Cheil) – Social Media Special Mechanics, Log Out of Hate (Tribal Worldwide Romania) and „Replate Waste” (MullenLowe Bucharest) – Online PR Special Projects. In the sub-category „Mobile”, supported by McDonald’s, were offered 2 trophies: 1 Gold for „Vodafone Istori@” (FCB Bucharest) and 1 Silver for „Coca-Cola Bracelet – Artists are calling” (MRM // McCann). There were also 3 nominations for „Hai Samurai (Go Samurai)” (Cohn & Jansen JWT) – Mobile Apps and „KFC – Social Me (MRM // McCann)”, „4Geography (Publicis Romania)” – Mobile Campaigns. „Digital Craft”, the sub-category supported by Rompetrol, gave 3 Gold trophies: 2 for „Vodafone- Scrolling Through Life” (MRM // McCann) – Best Website Design and Best Website Content and 1 for „Replate Waste” (MullenLowe Bucharest) – Best Website Content, plus 1 Silver for „Museum of Retro Fun” (Kubis Interactive) – Best Website Design. „Online Branded Content”, one of the most disputed sections, presented by Grolsch, awarded 1 Gold for „KFC – Social Me” (MRM // McCann) and 1 Silver for „Lidl’s 2Million+ Department” (Jazz Communication). The sections also had 2more nominations: „Cook by the Ear” (Snapshot Communication) and „Pampers – “Good night, worries” Lullaby” (Leo Burnett Romania). 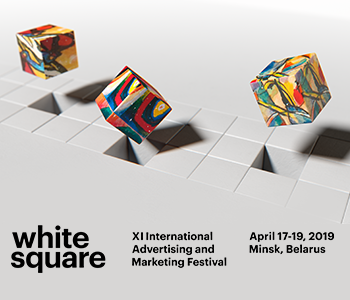 Absolut supported „Digital Brand Experience”, were the judges awarded with Gold „Tomorrow’s Technology” (MSL The Practice), with Silver „KFC – Studycoin” (MRM // McCann) and „Samsung Live Museum” (Centrade Cheil) and 2 nominations for „4Geography” and „Doodle Mats”, both from Publicis Romania. Special Award for innovation in digital out of home for 3 projects: „The Perfect Draft” (agency: Kubis Interactive, brand: Pilsner Urquell), „Heineken 0.0” (agencies: Starcom, Momentum, Tribal Worldwide, brand: Heineken 0.0) and for „One Night Gallery + Artivive – Augmented Reality Art”. 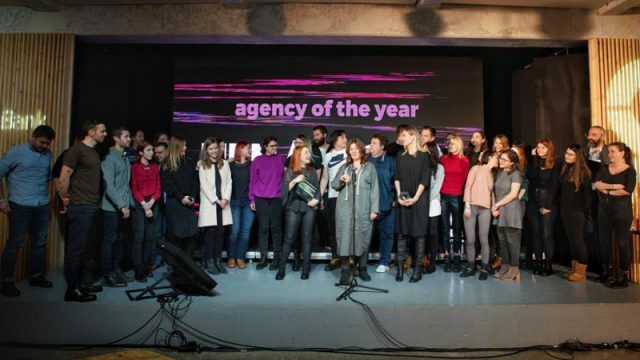 In this year’s competition entered 149 works from 25 agencies and companies, for 47 brands, judged by 52 specialists.